The mermaid featured on this talisman is symbolic of beauty and transformation. 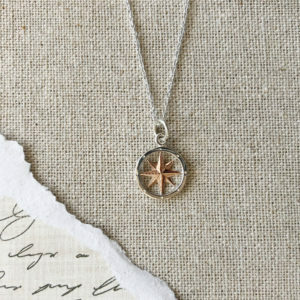 They are known to enchant with their mysterious and loving spirit. 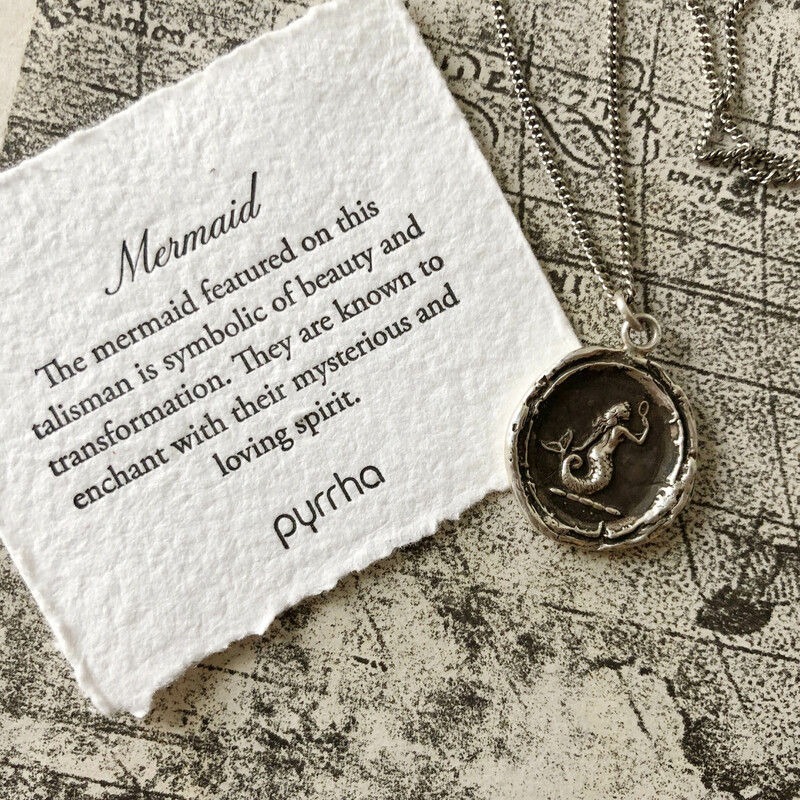 Made by Pyrrha. 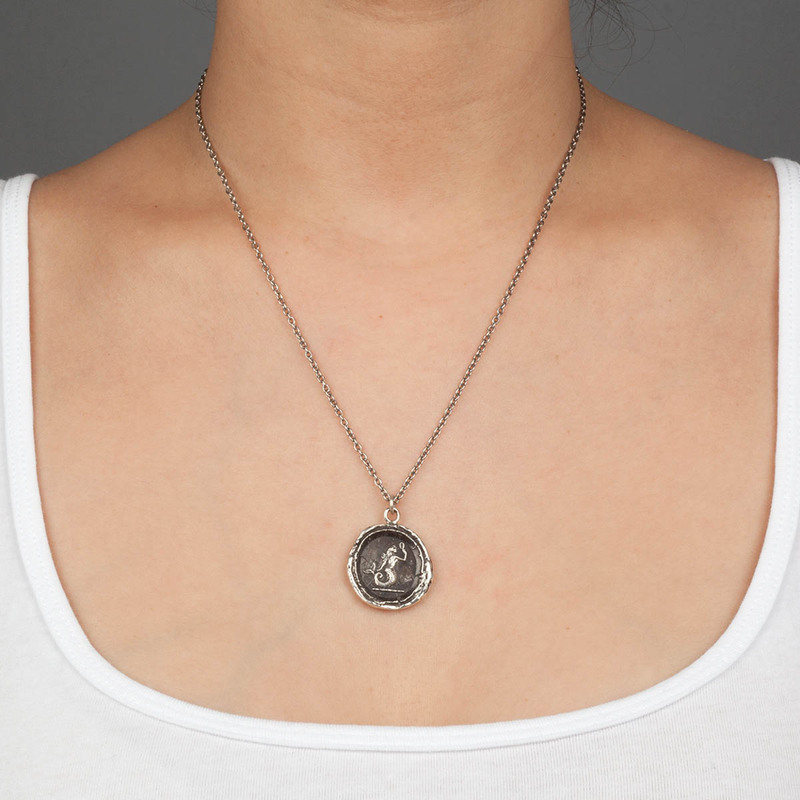 – Pyrrha talismans are cast using authentic wax seals and imagery from the Victorian era. 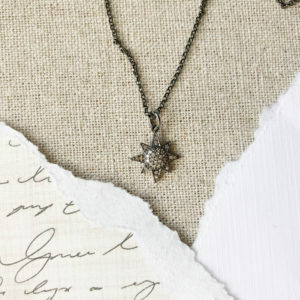 – With symbolic meaning culled from heraldry each piece is designed to inspire the wearer. – Handcrafted in Vancouver, Canada. 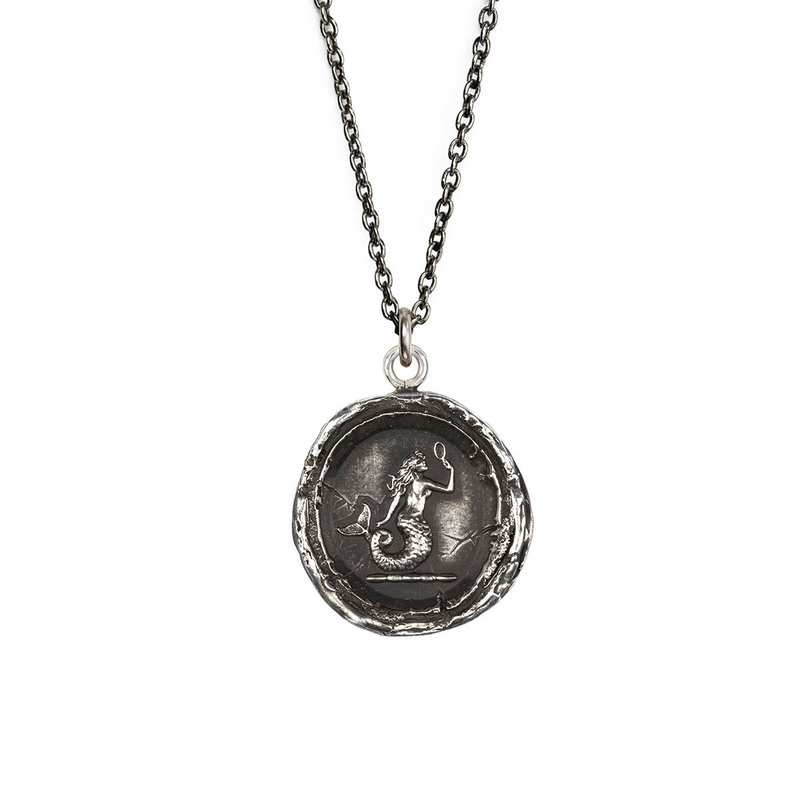 – Sterling silver talisman on a 18″ sterling silver cable chain with a Pyrrha branded quality tag. – Talisman measures approx. 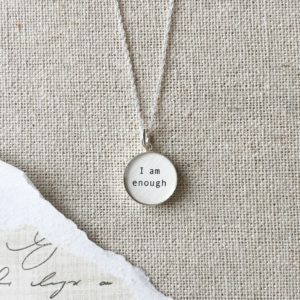 7/8″ x 7/8″..
– Fastens with a lobster clasp. 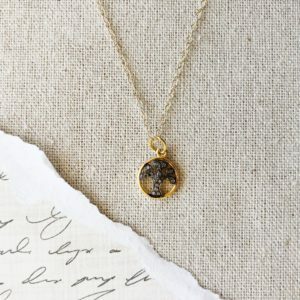 – Comes with a hand torn meaning card and an unbleached cotton Pyrrha pouch.